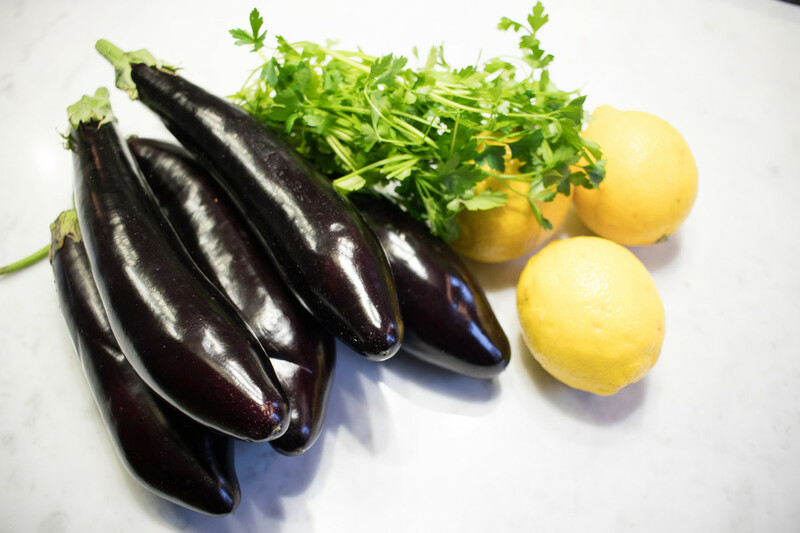 Eggplants – or “aubergines” if you are British and “Melanzane” if you are Italian – have a really interesting history in Italy. This vegetable, which has Chinese origins, was imported to Italy by the Arabs. In the Middle Age, in Italy we used to use the prefix “melo” to call vegetables coming from far away. So, why were eggplants called “melanzana” and not “mela” (which is now the Italian word for “apple”)? At that time people used to think that eggplants were responsible for psychic disturbs, intestine diseases and even the plague! The reason why eggplants used to have such a bad reputation is because they get dark when cut. This is how eggplants in Italy got the name of ”melanzana”, which in ancient times meant “unhealthy apple”. Because of this, eggplants have diuretic properties, can improve the health of our intestine and stimulate the bile production. Having said this, shouldn’t we celebrate the goodness of eggplants with a great recipe? Let’s do so with “Pasta alla Norma”, a Sicilian dish. While cooking the sauce, bring a pot of water to boil, salt the water and cook the penne rigate. Mix the pasta with the sauce and place on the plate. Add basil, the fried eggplants and sprinkle with some grated salted ricotta cheese.